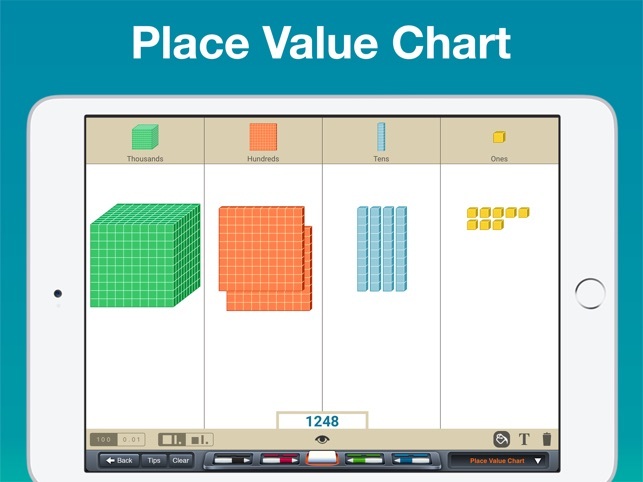 Virtual base 10 blocks to model place value, addition, subtraction, regrouping, and more. 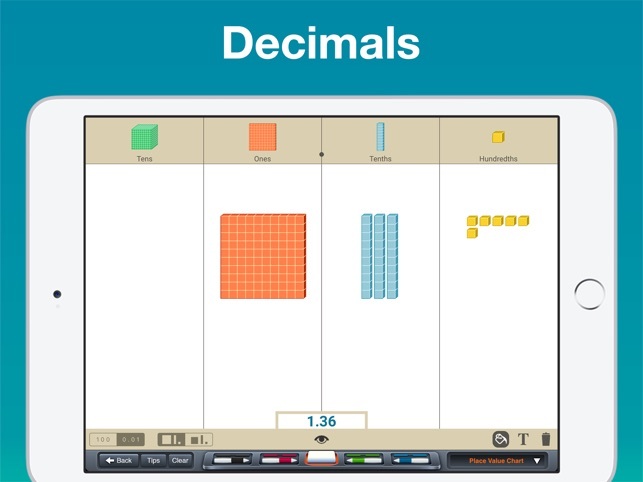 This app is amazing for teaching place value and addition and subtraction with regrouping. 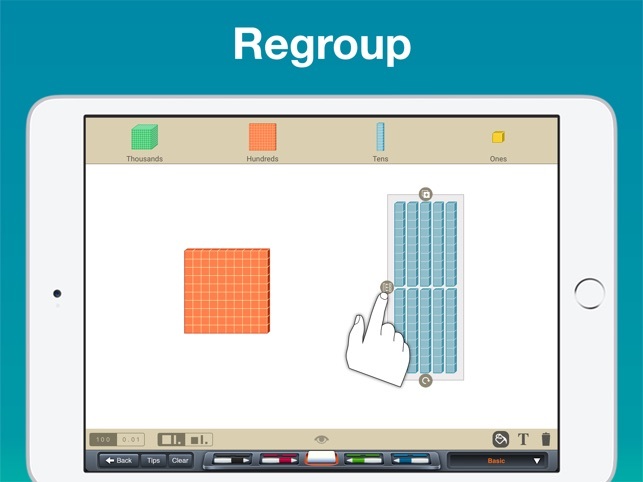 My special education students are really starting to understand how to regroup because of this app. 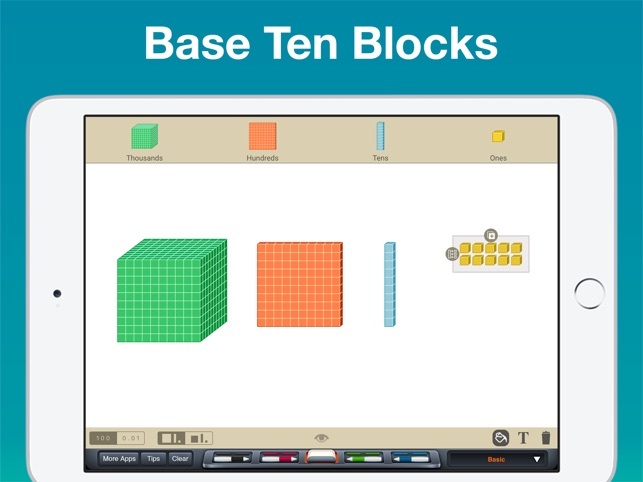 When they get stumped on a problem, I can ask them how they would do it on the base ten blocks app and they can apply the same skills on their papers. The visual of combining and breaking apart for regrouping has been especially helpful for my students. I can ask them what happens when you regroup on the app and they remember that it breaks into ten pieces or combines into one group. 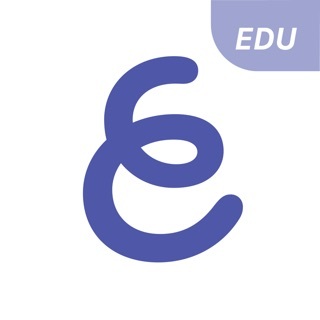 They are prone to making little mistakes when setting up a problem and I love that the app will show the problem at the bottom so they can check their work. The company has been great to work with, responding to comments and suggestions. 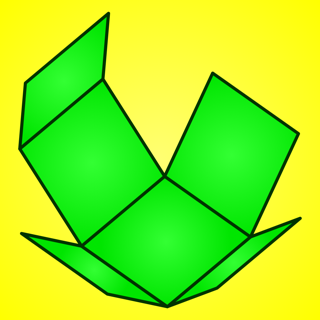 The snapping to grid is great! Makes it easy to quickly demonstrate various multi-digit #s. Like that when you write it stays on the screen until erased. Paired with iPad’s new feature of recording screen as you use the app is a bonus. Well done! Eraser on the draw tools is more like an undo button. Doesn't allow the user to choose what to erase. 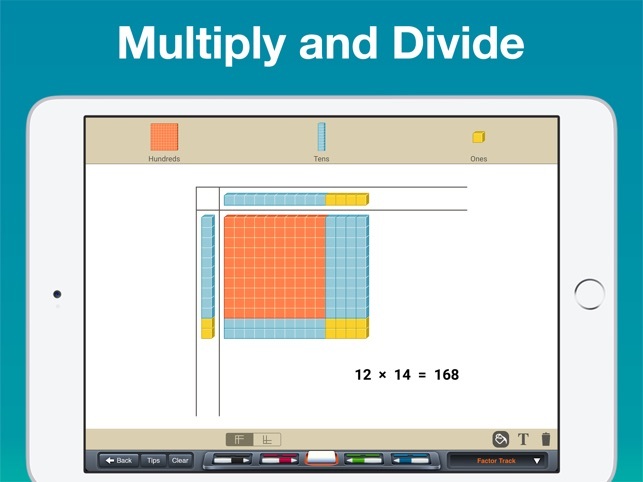 Can't do double digit multiplication greater than 21x30- it would be helpful if the size option was available on the factor track page as well. Then I could squeeze higher numbers in. Eraser now works like a physical eraser. We are trying to find a way to support larger numbers on the Factor Track mode (we too like the idea). The challenge is finding a way to make objects smaller without "Ones" becoming so small that you can't easily grab and move them. But we will keep thinking about it. Thanks so much for the feedback!!!! !